Hom Automation offers steel boom barriers. 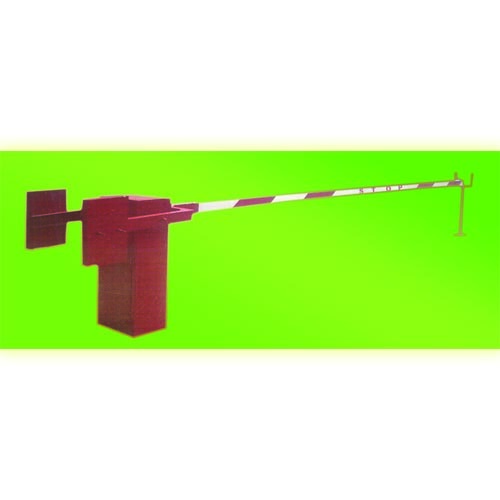 These barriers have steel boom unlike normal barriers, which have aluminium booms. They are specially designed for high security areas such as refineries, defence, army, etc. Dual speed and electronic braking of the barrier optimise time and maximise safety. These unique features ensure quick opening and closing of the boom with soft landing. Duration of fast and slow speeds is programmed at the time of installation according to the length of the boom and the frequency of traffic expected. The entire system is powered by 12 V DC to avoid the risk of electrocution and to integrate barrier with other peripheral safety devices such as access control system optical beam sensor, etc., for greater flexibility and added safety. The barrier is activated either by a single touch push button or remote control. However its electronic control panel is designed to accept signals from various optional controls and safety accessories such as beam sensor, smart card reader and loop detectors.